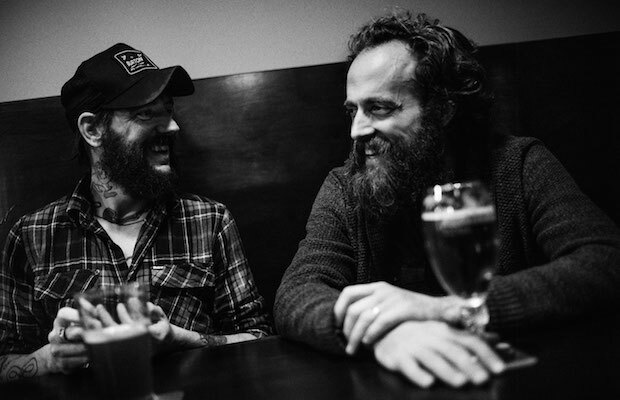 Long time friends but first time collaborators, Sam Beam of Iron & Wine and Ben Bridwell of Band Of Horses have announced an album of covers, titled Sing Into My Mouth, which will be released on July 17th! The duo debuted this collaboration on Letterman recently, performing the Unicorns/David Gilmour track “(There’s) No Way Out Of Here”, and they just recently released audio for two more covers, “Bulletproof Soul” [Sade] and “This Must Be The Place (Naive Melody)” [Talking Heads]. So, how does this fit into our Nashville based coverage? Both of these artists will be performing at the inaugural Pilgrimage Festival in Franklin, TN on September 26th & 27th, and we’ve been hearing about the Pilgri-mashups, which will feature one of a kind pairings of musician collaborations. Seem like a perfect place for Beam and Bridwell to bring this to life for you? Yeah, us too. You can stream the first three tracks below. If you haven’t already, check out the updated lineup for Pilgrimage, and go ahead and secure your passage.